Kentucky may be famous for its horses and bourbon, but the Bluegrass Region is also home to some of the most enchanting gardens and inspiring architecture in the world. 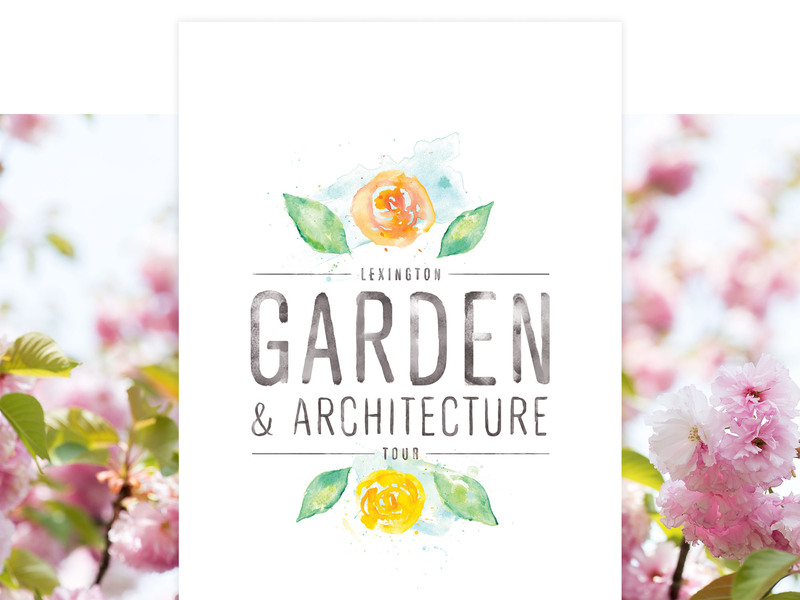 Acclaimed Garden Designer Jon Carloftis invites you to explore the carefully cultivated gardens blooming throughout the historically preserved architecture of downtown Lexington, using this as your guide. Please note that many of the stops mentioned here may be private homes and not open for public viewing. View the full digital guide or stop by the Visitors Center to pick up your own copy! Stroll back in time along the exquisitely preserved streets of the Gratz Park District, home to some of Lexington’s finest examples of early architecture and peppered with the carefully maintained gardens of its residents. This historic district is comprised of 16 buildings, including the Hunt Morgan House, the Bodley-Bullock House, the Carnegie Library and several private homes. Here you’ll find examples of Gothic, Greek Revival, Federal and neoclassical architecture. Statesman Henry Clay’s beloved Ashland estate is preserved on 17 acres of wooded grounds and surrounded by scenic residential streets. An Italianate style mansion sits at the center of the estate, and the English parterre garden – free to visitors – is a favorite spot of local artists and photographers. 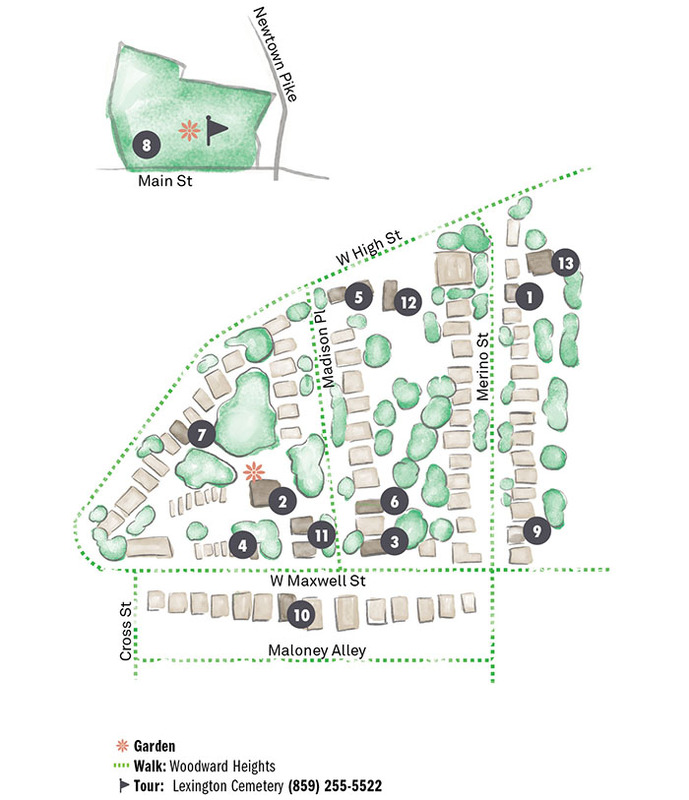 Walk down the adjacent tree-lined streets, such as Catalpa Road and South Ashland Avenue, to view lovely residential gardens, century-old trees, and examples of American Craftsman, Colonial Revival and Tudor Revival architecture. Mansion and “Trees of Ashland” tours are offered year-round. Visit henryclay.org for ticketing information. —The wings of the Federal style house were designed by Benjamin Latrobe, the architect of the U.S. Capitol. —Landscape architect Henry Fletcher Kenney designed the garden following its opening to the public in 1950. It continues to be maintained by members of the Lexington Garden Club. —Have lunch at the Ginkgo Tree Cafe, a casual eatery on the grounds of the Ashland Estate that serves crepes, salads and specialty sandwiches. —In Autumn, the front lawn of the Ashland Estate and the nearby Catalpa Road are blanketed in yellow Ginkgo leaves from the historic trees that date back to 1890. —Though many plants are dormant during winter months, the bones of Henry Clay’s garden are a quietly beautiful sight to see all on their own. The architecturally diverse Woodward Heights Historic District contains examples of Victorian, Greek Revival, Colonial and neoclassical architecture. The Lexington Cemetery, the burial site of many notable Kentuckians, is nationally known as one of America’s most beautiful cemeteries and arboretums. The cemetery’s entrance features a Romanesque gatehouse, and the grounds encompass an arboretum and a wide variety of plants, shrubs, trees and flowers. Plan to visit the Botherum, a restored Greek Revival cottage nestled among exquisite gardens, originally built by prolific Kentucky architect, John McMurtry. 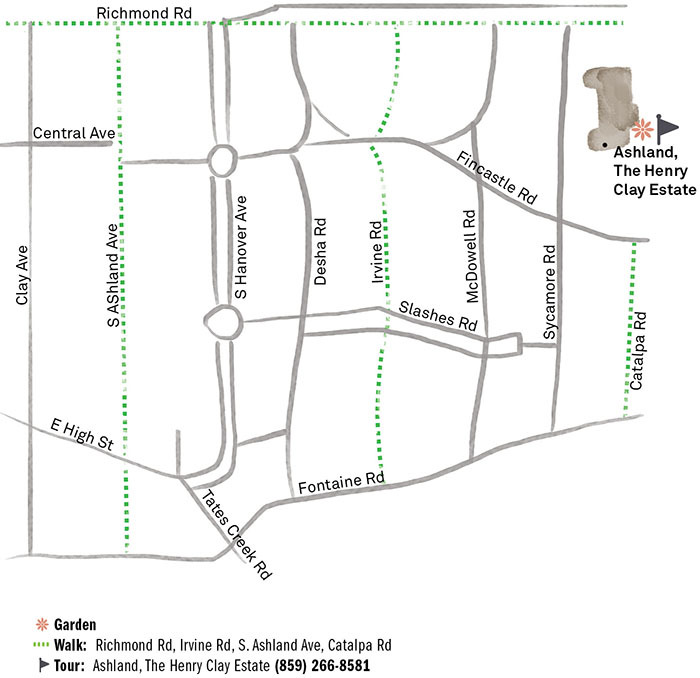 Tucked away on tree-lined, garden-peppered cul-de-sacs just minutes from bustling downtown are Hampton Court, Fayette Park and Elsmere Park. These charming areas contain stately homes and condominiums of Richardsonian Romanesque, Georgian, neo-Greek Revival and Prairie style architecture. Nearby you’ll find Food Chain, a non-profit dedicated to gardening and producing sustainable food indoors. Head down Jefferson Street to the Apiary, a sophisticated entertainment venue that grows fresh herbs and seasonal vegetables in their garden fortress. 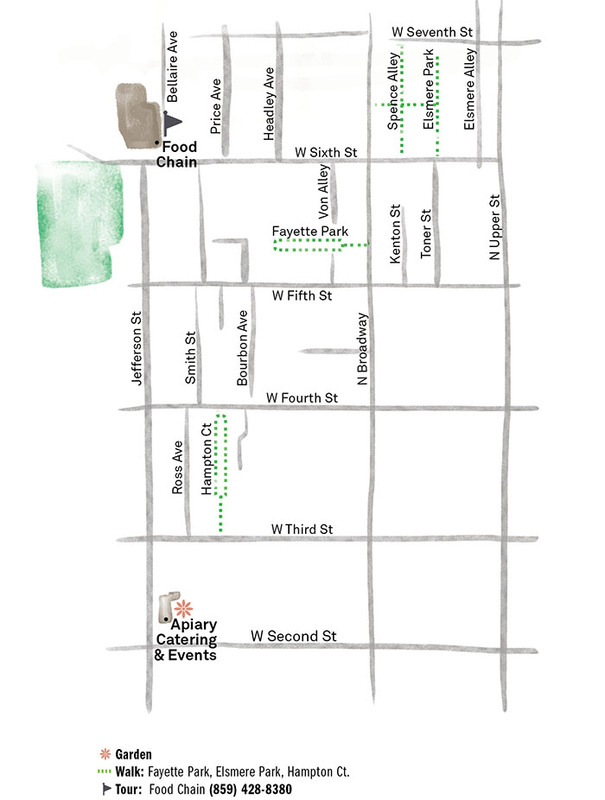 —Tours of the Food Chain facilities are held most Saturdays at 1 pm at the historic Bread Box building. Buy tickets ahead of time here. 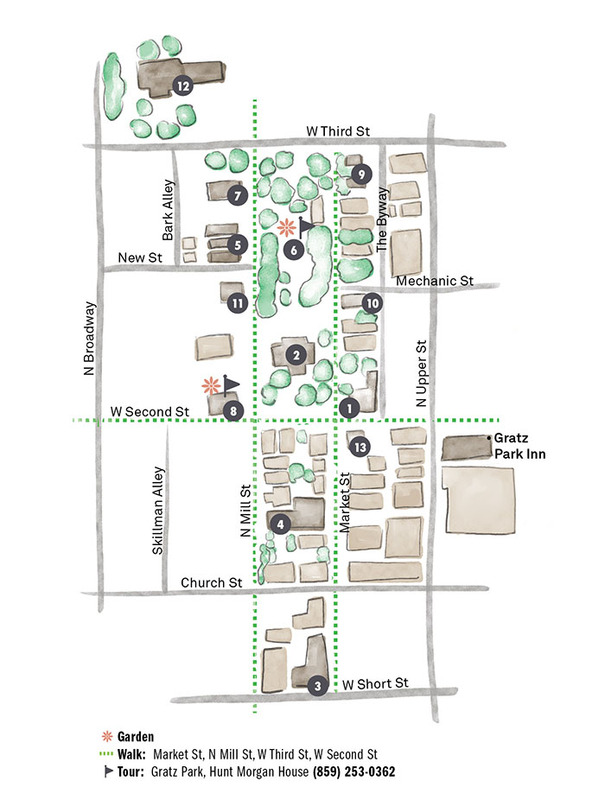 —Stroll down Jefferson Street to discover a variety of local dining and brewery options. View the full digital guide for additional attractions, insider tips and more. 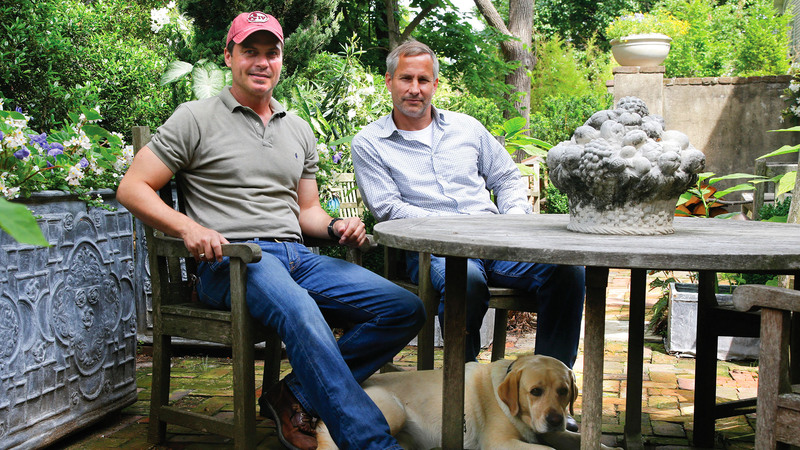 When award-winning garden designer Jon Carloftis (left) and longtime life and business partner Dale Fisher (right) bought the historic Botherum home in 2012, it had been untouched for 15 years and was overrun with weeds and raccoons. Wanting to restore the home to its original glory without turning it into a museum, Jon and Dale sought to respect the character and integrity of the site while incorporating their own personalized, contemporary touches. Together, Jon with his imaginative, wild style and Dale with a manicured, practical vision, the duo successfully turned an abandoned nineteenth-century site into a historic Lexington treasure. To learn more about Jon and Dale and to see more examples of Jon’s award-winning garden designs, check out Jon’s book, Beautiful Gardens of Kentucky.